Preheat oven to 350° F. Coat a 9 x 13 pan with nonstick cooking spray. 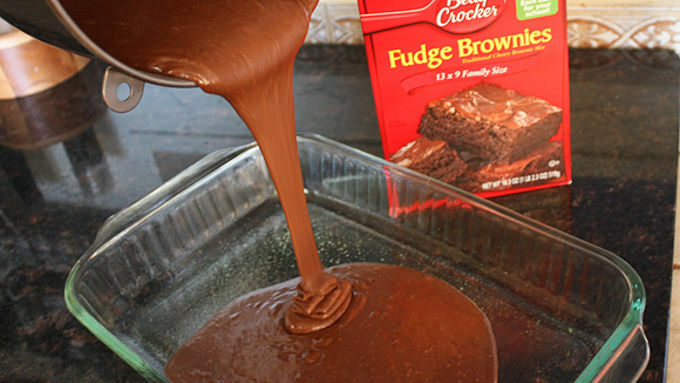 Prepare Fudge Brownie Mix according to package directions with eggs, oil, and water. Pour half of brownie mixture into pan. Top with sheets of graham crackers, breaking to fit as necessary. 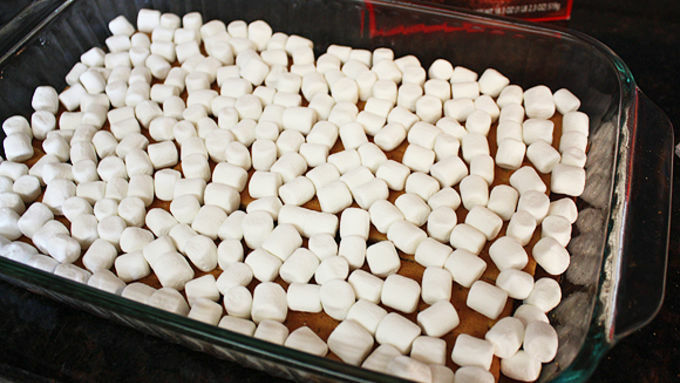 Sprinkle marshmallows on top of graham crackers, covering completely. Drizzle remaining half of brownie batter over marshmallows. Bake for 25-30 minutes, until edges are crisp and center is set. Note: The typical toothpick test will not work for these because of the marshmallow middle, but the top brownies should be solid to the touch, not gooey, when done. Bake for an extra 5 to 10 minutes, if needed for doneness (checking after 5 minutes). Remove from oven and let cool for 15 minutes to set completely. Slice into bars and serve. 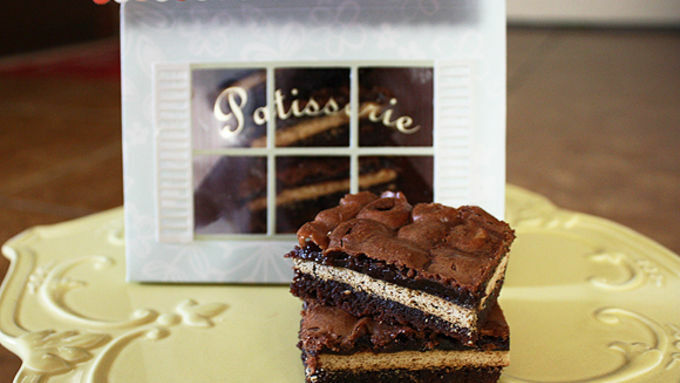 Whether it's Backwards Day or any day, you'll love these Inside Out S'mores Bars! Happy Backwards Day! Or, should we say “!yaD sdrawkcaB yppaH”? What are you doing today to celebrate? 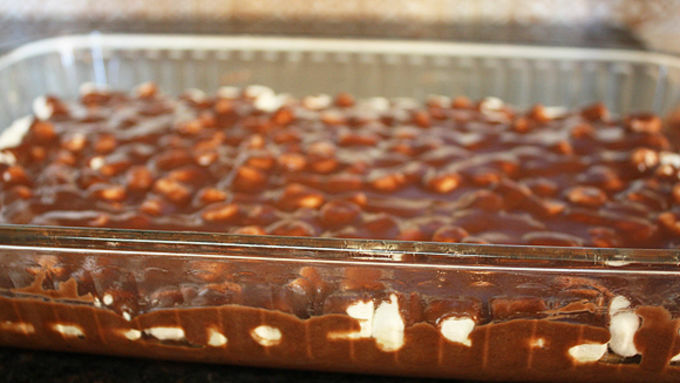 Here’s a good one: How about celebrating with some Inside Out S’mores Bars? If you've been dreaming of those late-night summer campouts sitting around a campfire and enjoying that ooey gooey goodness of a s'more, then you've gotta try these treats. 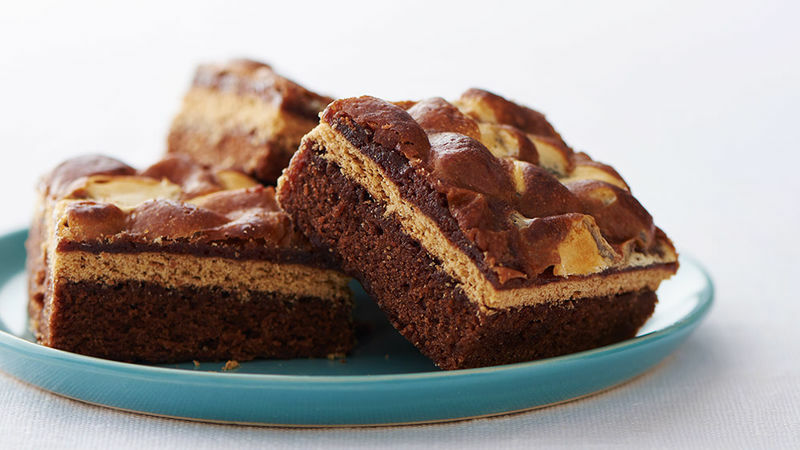 We’ve created these fun bars so you can enjoy the taste of s’mores (and stay out of the cold!). And you probably have all the ingredients in your pantry right now! It was torture waiting for these to finish baking! The delicious smell filled our house and there were lots of hungry taste-testers anxiously waiting for a bite. We’re boxing up these cute bars to share with friends today -- after we eat a couple, of course! In fact, I think we might have to eat a few before dinner…since it’s Backwards Day and all. Can't get enough s'mores? There's s'more where that came from with our collection of s'mores recipes.